Marketing in 2018 is going to be different than anything you’ve seen before. The marketing landscape is evolving in a way that’s challenging even for the most tech-savvy advertisers. Web design, content production, and customer engagement have never been more accessible yet difficult to grasp. For the businesses who can up their game, the rewards are incredible. For the average person, it can be a struggle. In a crowded market, having a website that acts as a brochure just isn’t going to cut it. That’s why 92 percent of small and medium-sized businesses without websites are investing in one by the end of 2018. By the end of this article, you’ll understand how an incredible site design can improve customer experience, and why it’s key to keeping your customers coming back. Before you can understand exactly what a good site looks like, first you should understand why it’s so important to have a strong site design in the first place. Did you know that, according to Google themselves, 40% of users will abandon a web page if it doesn’t load in under three seconds? A fast loading site is not only appreciated, but expected. Understanding that speed and performance equal customer satisfaction is crucial and should be one of your big focuses for creating a great website design that is responsive. Making a lasting impression on your local customers in Denver is crucial for engagement and growth. Using local SEO tactics in Denver can be a great way to engage with these customers and help elevate the performance of your site. It’s important to remember that 75% of consumers judge a businesses credibility based on their website design. That means making a lasting first impression that comes across as positive can be a key step in elevating your site design. Creating a great first impression takes a few important steps. Understanding that your homepage is probably your most important page on your whole website will help you to focus on creating a great design. 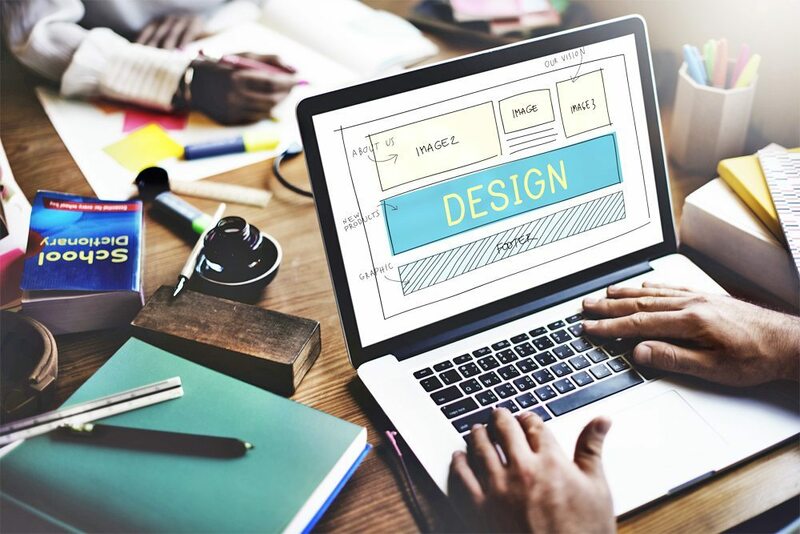 Understanding that user experience should be at the forefront of how your site operates is a great start, and many businesses are investing in UX Design to stand out from traditional websites. UX Designs aim to make your website intuitive to use and help to engage your audience. To design a great user experience for your homepage, you should follow these steps to make sure the message you are sending to your audience is one that will have them coming back, not looking for the next option in Google. Your company branding is crucial when landing on the homepage and developing a great brand strategy is key. Your homepage should instantly tell your visitor who you are and what they can get from your site. Your logo and tagline can go a long way in telling this message visually. The most important aspect to consider though is effectively saying what your company and business does, straight away. Otherwise, why visit your site in the first place? Different websites will speak different languages. Fox News will speak in a very different tone to that of GQ Magazine, for example. Understanding who your target audience is and how to communicate in their language is essential. Don’t talk to your customers in a business style if your company’s focus is on fashion trends. Make sure to make it easy for your target audience to understand your content and make it relatable to them. Do you know anybody who likes receiving spam? Nope, me neither. If your customers find your site design to be overwhelming with too much content, images, links etc. that are all vying for your user’s attention, it’s not going to work and will come across to your reader like a spam email. If you don’t outline the message that you want to send to your audience, you run the risk of it getting lost in the noise. Make sure to make the message you want to send your reader, simple, clear, and easy to understand. Tying in very closely with having a single message to send to your users, using great calls to action throughout your homepage is something many well-designed websites implement. Using calls to action in strategic places on your site will not only encourage click through on your site but can also lead to higher levels of engagement and conversion. Calls to action are also used not just to convert customers, but to take your readers through your website in the way that you want them to experience it. These allow your reader to follow a flow of your site and ultimately leads to them engaging with more content in a more meaningful way. In 2020 it’s predicted that there will be 6.1 billion smartphone users globally. In 2014, mobile usage overtook regular desktop usage, and the numbers are only rising. With so many users accessing the internet via a smartphone, it’s incredibly important to optimize your website for mobile performance. Having a responsive web design goes a long way to improving your customer’s user experience with your site. There is no excuse not to have a website in 2018. Having a great performing website focused on offering a great site design and making your business stand out will be the key to boosting your companies performance online. Contact us today for help achieving some amazing results.